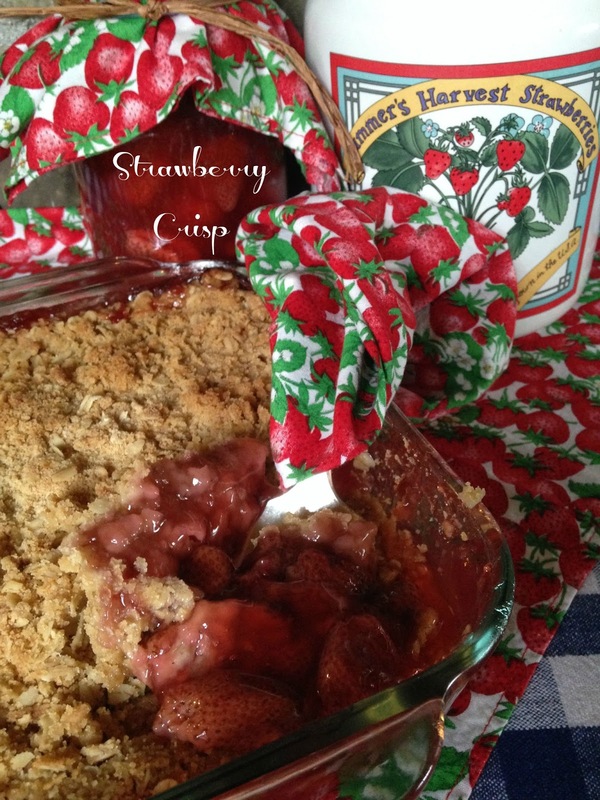 Easy Strawberry Crisp made with Homemade Strawberry Pie Filling is delicious, fantastic and easy. Strawberry Pie Filling made with fresh picked strawberries is really not difficult at all to make. The taste and texture of homemade Strawberry Pie Filling doesn’t even compare to canned. Don’t get me wrong, I like canned strawberry pie filling but…. Homemade Strawberry Pie Filling is the Crème de la Crème of strawberry pie filling. 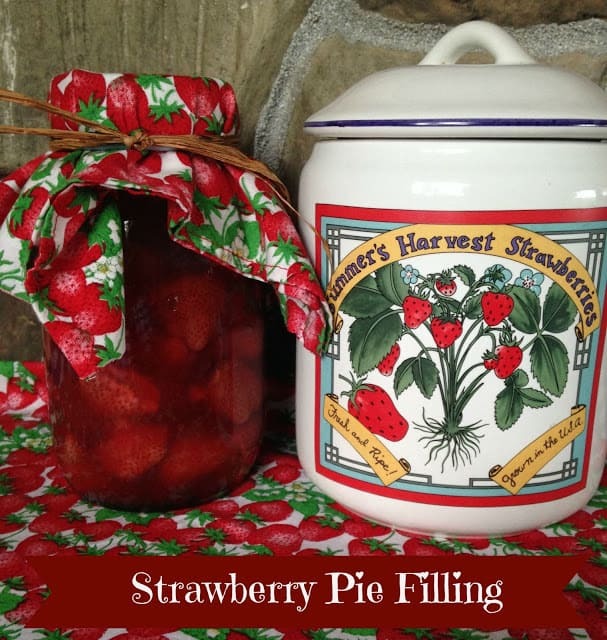 Once you make your own strawberry pie filling and start using homemade in recipes you’ll never go back to canned. 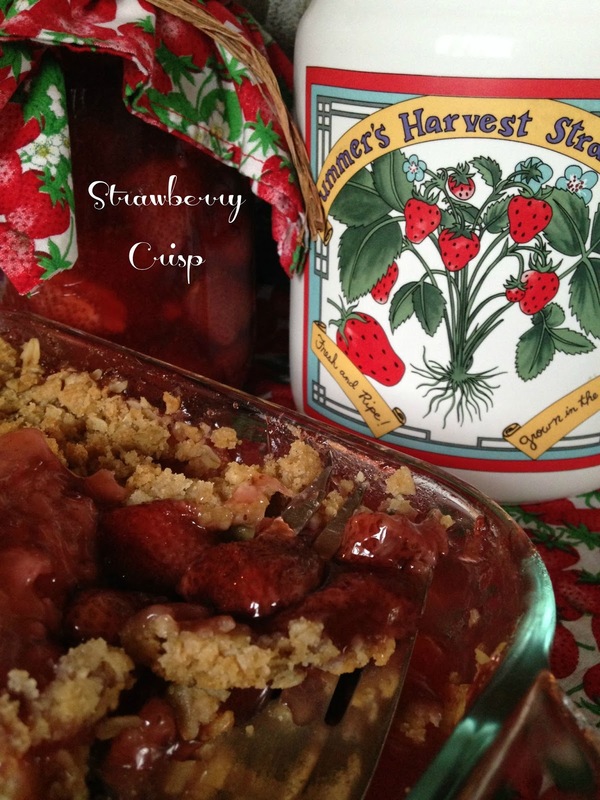 The recipe below makes 1 quart of strawberry pie filling. You can easily double, triple, quadruple this recipe depending on how much you want to make. 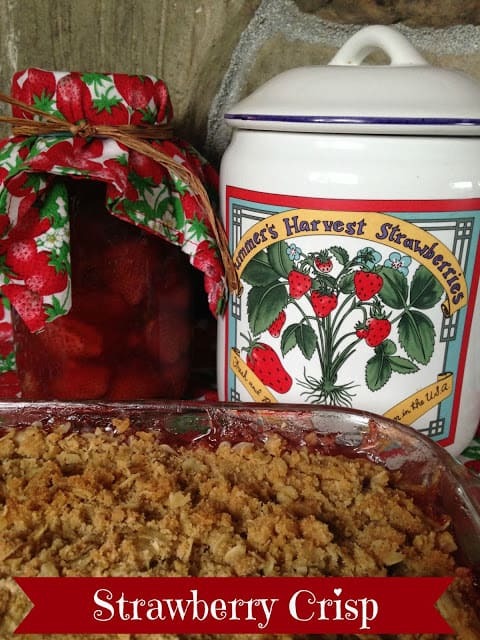 Rhubarb and Strawberries are meant for each other. To make your own rhubarb/strawberry filling go here: Rhubarb Strawberry Filling. For more information about pick your own go to: Pick Your Own. Pick Your Own is a fantastic website. You will find a world of information and best of all a website full of fantastic recipes. Mix together oatmeal, flour, brown sugar, salt and cinnamon. Add nuts. Cut in cold butter with a pastry blender until crumbly. Spray an 8 x 8 inch square baking dish with non-stick cooking spray. Pour strawberry pie filling into prepared dish. 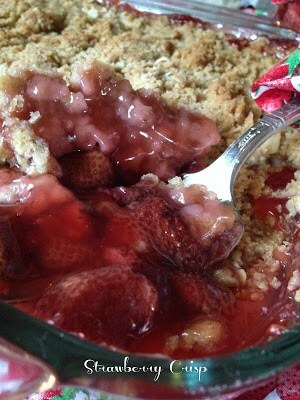 Cover strawberry filling with crumb topping, lightly pat down. Bake at 350 for 45 to 55 minutes. Step 1: Select strawberries, fresh or even frozen can be used. Of course, pick your own when in season. Step 2: Wash canning jars, and lids in hot, soapy water. Rinse well with hot water. Step 3: Sort, wash and hull the strawberries. Step 4: Blanch the strawberries. Place strawberries (up to 7 cups at a time) in a large pot, with at least 1 gallon of boiling water. Boil each batch for 1 minute after the water returns to a boil. You’re not “cooking” the strawberries, just blanching them. Blanching helps the strawberries retain their color, shape and flavor. Step 6: Combine the liquid with the strawberries. Fold the berries into the hot liquid gently. Step 7: Fill the sterilized jars with strawberry filling. Fill to within 1 inch from the top. Wipe any spilled strawberry filling off the top. Place on the lid and tighten the band. Step 8: Process the filled jars in a water bath canner. Put filled jars in canner. Keep the jars covered with at least 1 inch of boiling water. Process for 30 minutes. Step 9: Remove the jars and cool, undisturbed overnight. Store cooled jars.